Join us at all of our Diehl Automotive stores this Labor Day for food, fun, and great prices! Stop at Diehl of Butler this Labor Day to take advantage of huge savings during our Labor Day Sale and Cookout! We will be offering free cookout food for anyone who stops by. Enjoy a hot dog while browsing our inventory or snack on other cookout favorites while finalizing a great deal on your new ride. Looking for the right deal on a new vehicle? Searching for the perfect pre-owned? We’ve got them all. 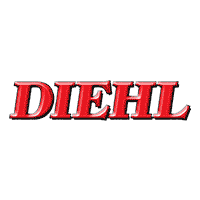 Don’t miss out on the huge savings available only at Diehl of Butler!